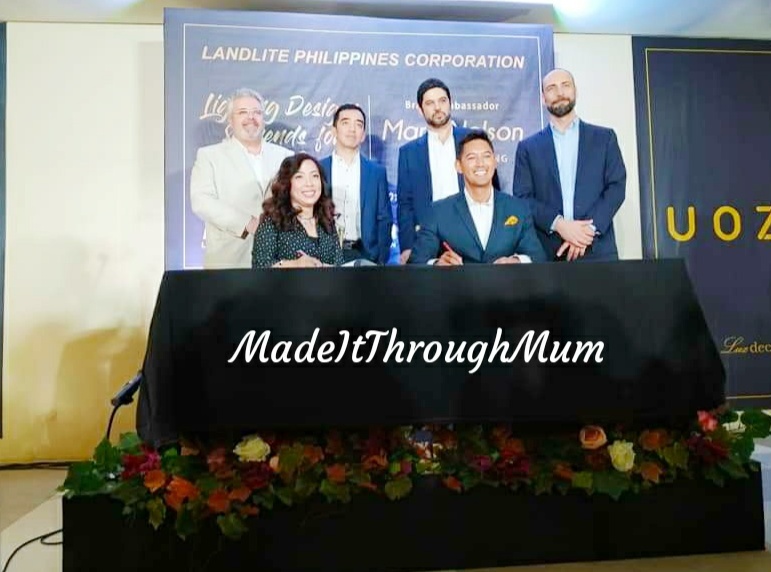 Landlite Philippines Corp. (LPC), a leading distributor of lighting fixtures and solutions in the country, recently appointed top celebrity Marc Nelson as their official brand ambassador. This was announced during Lighting Design Trends for 2019, where experts presented global movements in lighting design alongside the impressive line of products that LPC carries. Photo shows (seated L-R) LPC CEO Jocelyn Li and LPC brand ambassador Marc Nelson (standing L-R) Faro Barcelona CEO Xavier Martin, LPC sales manager Dennis See, Uozu Italy deputy CEO Alessandro Porta, and Faro Barcelona CSO sales director Salvador Marti. Faro and Uozu are exclusively distributed in the Philippines by LPC.